Acupuncture has been practised in China for some 3,500 years. The first medical textbook on acupuncture is called the Nei Ching Su Wen; meaning the Yellow Emperors Classic of Internal Medicine and dates back to about 400BC. Since then the fundamentals behind acupuncture have remained the same but the knowledge has been developed and expanded through the generations. Acupuncture is an holistic form of medicine providing health care and disease control as a complement to conventional medicine. 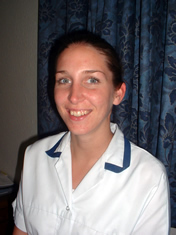 Currently acupuncture is becoming recognised all over the world as a reliable and safe treatment. In 1979 The World Health Organisation recognised that acupuncture can help treat a variety of conditions. Traditional Chinese Medicine (TCM) is based on the theory of Qi, (Qi vital energy) which flows through channels/meridians in the body. All living things depend on this energy. Qi flows smoothly round the body when healthy. If an imbalance occurs through emotional states, trauma, diet and weather conditions this can lead to an excess/deficiency and stagnation or illness can occur. 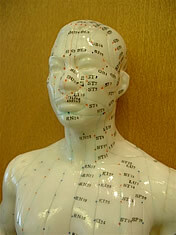 Acupuncturists use several ways to obtain information. Observation, listening, palpation, enquiry and pulse taking help the acupuncturist prepare individualised treatments to help the body adjust and rebalance itself. Treatment is by inserting very fine needles into specific points (acupuncture points/ pressure points) along the channels and stimulating them. Moxibustion is technique using a herb that is burnt above the acupuncture point or electro-acupuncture which can be used to enhance the stimulation of the point. This has also been proven to stimulate endorphin (the bodys natural painkiller) release. Acupuncture has also been shown to raise levels of specific hormones, prostaglandins and antibodies generally which are all required for optimum health. Safety is of paramount importance. Pre-packed, pre-sterilised, disposable needles are always used here at the St Helens Chiropractic and Acupuncture Clinic. Our acupuncturist is fully qualified and registered with the British Acupuncture Council (BAcC), following strict codes of practice and ethics. Acupuncture is safe to have during pregnancy, but you should always mention if you could be pregnant to the acupuncturist. Does the treatment hurt and how will I feel? Acupuncture affects people in different ways. On insertion a pin-prick may be felt and during manipulation of the needle a strange feeling of heaviness, dullness, tickling or electric sensation may be felt. Acupuncture is surprisingly painless and has a relaxing effect on the body. As acupuncture treats the whole body a feeling of better general health often results. This is different from person to person, the condition you have, your age and how long you have had the problem affects the benefit gained. Some people can see a dramatic effect after only a few treatments, others require a more long-term approach. Usually 1-2 treatments a week are needed to begin with. Improvements should be seen within 3-5 treatments. At each appointment the acupuncturist will assess how you are and your treatment is reviewed regularly. As your condition improves the sessions become less frequent. Visits at intervals throughout the year are often recommended to maintain optimal health benefits.